1.62m (5'4") so a real midget. Mind you, if you are that tall and put on 1kg of muscle you can see it. I'm 1.8+ and I would need to put on triple that for the same effect. I remember going to a Fitex or something like that when Branch Warren was there. I was surprised how short he was. You, me and Cumster are probably the only ones over 6foot. 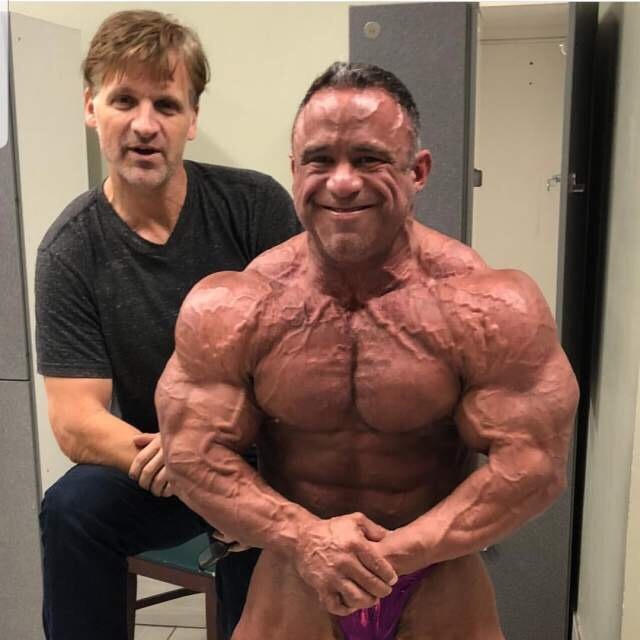 my new york mate, former mr Australia, is going to olympia as his mate is bb photographer. he hates modern physiques, but why not go for free. I think Phil is going to take it again this year. A lot of talk from old school pros who have seen Phil getting ready and are all saying he looks better than ever before. Phil just isnt as much of a social media junkie so we don't really see what his training and gains are like until he hits the stage. I am actually more excited for the classic physique category. I have to say I have a man-crush on Chris Bumstead, will be interesting to see him, Regan and Breon going at it. I honestly think Chris looks better than all of them plus he is over 6 foot. Phil is going to come in leaner and smaller gut and waist then ever before. He will make everyone look average. I am not a massive Phil fan but I just know what his body is like and he will kill it.